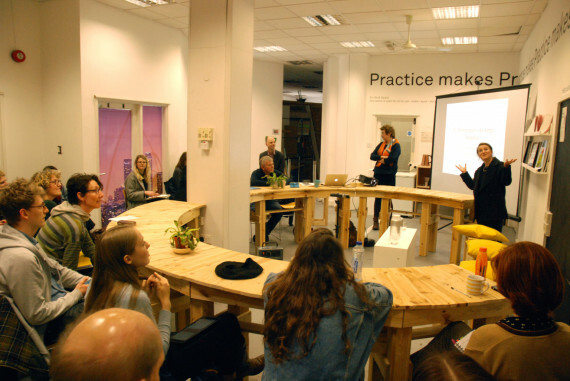 A recent artists' discussion at The NewBridge Project, Newcastle saw three pro-EU speakers stressing the importance of voting to remain in the forthcoming EU Referendum. North East-based artist Lesley Guy reports. In an attempt to get a discussion going and put culture within the EU Referendum debate, The NewBridge Project and ISIS Arts in Newcastle recently invited three speakers, all pro-Europe, to explain their positions to an audience of around 25 artists.The event, EU Referendum: An Artist Response, was chaired by Clymene Christoforou from ISIS Arts and Culture Action Europe. Jessie Jacobs from Britain Stronger in Europe described this as the most important campaign of a generation. She spoke with passion about the benefits that being ‘in’ has brought to the North East, from business and industry to investment in Newcastle and Gateshead’s cultural life: landmark buildings and world-renowned programmes at the Baltic, the Sage and the Live Theatre were, she said, in part thanks to support from the European Union. Matt Watson from the North East Labour MEP’s office explained that working in Europe is not clear cut and can be complex, especially when events associated with Europe but not directly the EU – such as migration – get misreported and confuse the discussion. The third speaker was former MEP Carole Tongue, chair of Creatives For Europe. Withdrawing from the EU, she argued, would be retreating into isolation. Our fellow Europeans want us to stay. In the EU we all have the right to work, play, live and study elsewhere – migration is a two-way process. What, for example, would happen to the Erasmus programme, she asked? It was generally agreed that more information was needed: most of us in the room were instinctively pro-Europe, but felt we needed the tools to understand why we ought to stay, and the opportunity to thrash out the issues that bother us. We don’t want to be fumbling around when our friends and neighbours start complaining about straight bananas and immigration. The floor was opened up and we had a good discussion. How do we reverse the information deficit? Rupert Murdoch has more influence on number 10 than in Brussels, so how do we take on the right-wing press? The answer is to arm yourself: if you know what you’ve read is not true, challenge it. Don’t be scared to talk to people who have different views. For fact checking, the Doorstep EU app was suggested, as was The Guardian’s EU Referendum Reality Check. The EU is a social democratic agreement, which can be reformed, Carole Tongue reminded us. To change anything each member government has to vote and if a majority of governments are right wing we’ll end up with a right wing EU. It was reassuring to hear that the MEPs for the North East, Jude Kirton-Darling and Paul Brannen, are on the committee working against TTIP. All the speakers stressed that this referendum could go either way and how we engage our friends and family was vital, especially those not normally in our own ideological bubbles. After breaking out into groups we came up with ideas for promoting the Remain campaign in the North East. To find out more or get involved you can request to join the facebook group; with Eurovision and Newcastle’s annual Late Shows coming up – both on 14 May – there is plenty of scope for interesting approaches. 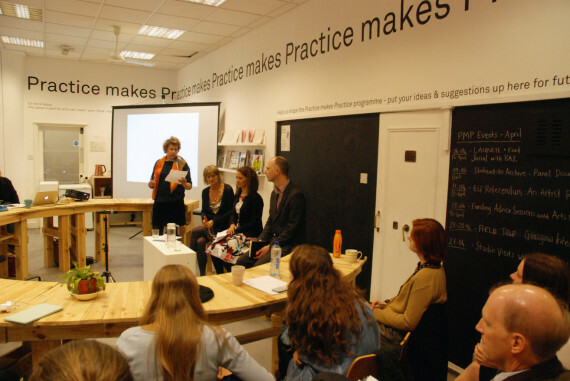 EU Referendum: An Artist Response took place on Monday 11 April at the NewBridge Project, Newcastle and was part of Practice makes Practice, NewBridge Project’s new artist development programme.